Ghana's Second Lady, Mrs. Matilda Amissah-Arthur, has stated that environmental cleanliness is not government's responsibility alone but the individual as well, So the need to observe strict environmental cleanliness in order to check the spread of the Cholera and other diseases. She made the statement when she commissioned an oil palm processing plant at Ankwandi in the Akuapem North, District of the Eastern Region Thursday June 16, 2016. Speaking at the commissioning ceremony, she said the facility would help the women and also give them a ready market for the finished products and help them to focus on demand-driven areas in order to achieve the intended impact. This she said would make the processing more attractive to the women in the area. , they could use the skills to employ themselves and create employment for others. 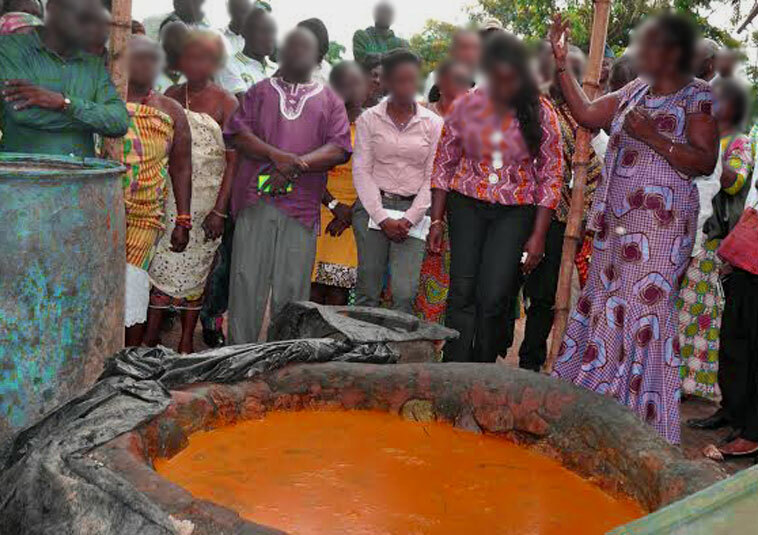 Mrs. Matilda Amissah-Arthur urged the women to unite since with the provision of the oil palm extraction facility, members of the Association could produce more palm oil. She, therefore, appealed to the Municipal Assembly and other stakeholders to help the Association to find market for their produce. The project was funded by Mrs Matilda Amissah- Arthur to support women in the area and to improve upon the economic well-being of the people. At the ceremony, The Wife of the Vice President, Mrs. Matilda Amissah-Arthur, said the project would also solve some of the challenges that women faced and, therefore, hoped that smaller systems such as the oil palm extraction project would go a long way to improve upon businesses in the communities. The Second Lady, Mrs. Matilda Amissah-Arthur, urged the women to reinvest the profit they accrued into the project and use the proceeds to educate their children in school, and hoped that the project would make the needed impact on the women’s lives. She also sed the occasion to thank the queen mothers of the area for encouraging women to establish their own enterprises to assist the needy, particularly women, in rural communities and also lauded the GRATIS Foundation, for being a leader in the designing, manufacturing, palm oil processing, and palm oil extractors and plants to make agriculture more attractive to the women in the area through modern technology. On her part Nana Oye II, Akuapim Kronti hemaa, the facilitator of the project thanked the Second Lady for her kind gesture and was hopeful that the project would help improve the living conditions of the people in the area. She said the women’s group would build on what had been provided and ensure its sustainability. She gave the assurance that the Association would ensure that its members produced high quality palm oil under the highest hygienic conditions without any additives or substances of adulteration. The Municipal Chief Executive for Akuapem North, Mr. George Opare Addo, thanked the Second Lady for donating the equipment to the group.